Anyone who is thinking of a career in fundraising should consider volunteering as a way to get a foot in the door. Volunteering is also a great way to learn a variety of skills that can prove useful in other work related areas. It should not be too hard to find a fundraising volunteer job given the amount of charitable organisations in the UK. There is a wealth of well-known charities and independent fundraising groups that are in need of committed volunteers. Potential volunteers should consider the type of charity sector they would like to work in when applying. 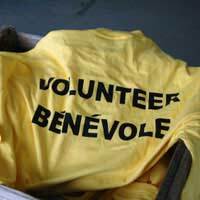 Volunteers should also keep in mind the different types of work they can do through volunteering. Volunteering to work with large national UK charities can be an ideal option for those who are looking to start a career in fundraising. Skills are not usually a prerequisite when volunteering for fundraising organisations. Many people join fundraising organisations in order to learn fundraising and work skills, and training will be provided. But there are certain volunteer jobs where work skills will be looked on favourably by organisations. Administrative skills, communications skills, leadership skills, accounts and people management skills are all sought after by fundraising organisations. Commitment and enthusiasm are certainly two personality traits that will go a long way in this career option. Those who are looking to begin a career in fundraising using volunteering as a stepping stone should consider the different fundraising sectors. There are number of fundraising sectors including corporate, community fundraising and event fundraising. Many fundraising organisations will use a variety of different methods to raise funds. Large national charities do provide a wider scope to learn the various fundraising methods across a number of sectors. Those who wish to jump in feet first should consider smaller independent local fundraising groups where ‘hands on’ fundraising methods will be learnt. Many universities and colleges do run courses that are specific to fundraising and the charity sector. Obtaining a qualification such as a Charity Marketing and Fundraising diploma will be beneficial towards working in the charity and fundraising industry. Courses such as Charity Marketing and Fundraising may require the applicant to already have a degree. But these courses are also open to individuals have around three years of relevant experience. Relevant experience could be long term marketing and advertising experience gained as a volunteer within a fundraising organisation. Most cities and towns will have an abundance of national charities working throughout the local community. Think of charity shops and organisations that help homeless people such as Shelter. The Salvation Army will usually have offices in most cities and towns, and this organisation does a great deal of charity and fundraising work. Charity shops are a great place to volunteer and are an excellent place to get a foot in the door of national charities. Take a look on charity’s social networking sites and charity websites for national charities that are actively looking for volunteers. Volunteering is an excellent learning experience and a good stepping stone into a fundraising career. A wide range of fundraising skills can be learnt that will be highly desirable to fundraising organisations and charities. Fundraising experience and actual work skills are looked on favourably by fundraising employers; in some cases, more so than actual fundraising qualifications. More information on volunteering in local areas can be found on national charity websites.